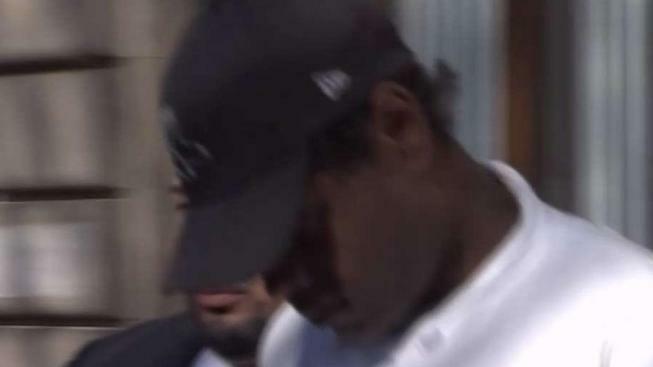 The man facing an assault charge in connection to an attack on a homeless woman on a New York City subway train claims she threatened him with a knife. The court-appointed attorney for Marc Gomez made the claims at the 36-year-old's arraignment early Sunday in Bronx Criminal Court, the New York Post reports. Gomez, of Yonkers, had been arrested Saturday in connection to the March 10 encounter, which was caught on video. The clip showed the 78-year-old woman being punched and kicked on a Bronx train around 3 a.m. She was treated for cuts, bleeding and swelling. Attorney Steven Mechanic says his client insists she threatened to stab him, and displayed some kind of sharp instrument. Gomez was ordered to be held.